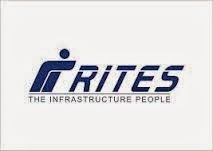 About Company: RITES Ltd., a Government of India Enterprise was established in 1974, under the aegis of Indian Railways. RITES is incorporated in India as a Public Limited Company under the Companies Act, 1956 and is governed by a Board of Directors which includes persons of eminence from various sectors of engineering and management. How to Apply: Apply online.